It is a small miracle that Edward is alive. At age 85, he suffers from Chronic Obstructive Pulmonary Disease (COPD), diabetes and high blood pressure. Nevertheless, Edward has a positive attitude. He appears remarkably healthy when he is not dragging around the oxygen tank. 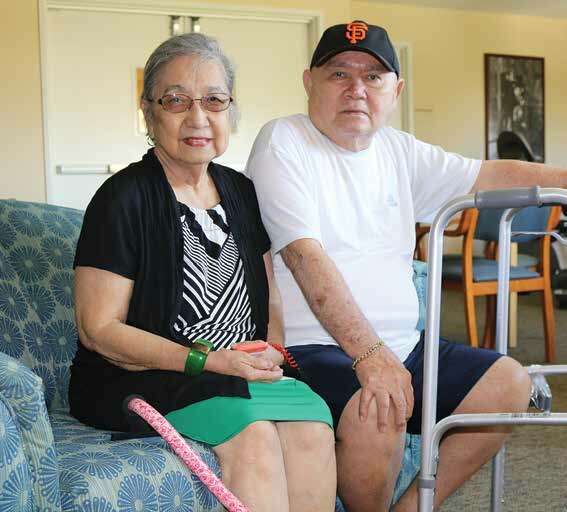 Luckily, donors like you help get low-income seniors like Edward to doctor appointments and other critical trips. Edward’s wife, Vicenta, who is 82, also has frequent doctor appointments. She has diabetes and asthma so severe that she needs pulmonary rehabilitation. “This is a program of care and love because we feel cared for and that we are loved,” says Vicenta. The Transportation Plus driver helps Edward in and out of the car, gets a wheelchair at the medical building, carries the oxygen tank, and brings him right to the doctor’s office. After the appointment, the driver is in the waiting room, ready to assist Edward and take him home. Edward is impressed by how caring the drivers are. “They strengthen our feelings,” remarks Edward. They put them at ease and talk to them as if they are family. “We are glad that there are organizations and people who are kind-hearted and care for people like us … people who need help … and they are here to help us!” exclaims Vicenta. With support from the City of Roseville and the Sacramento Region Community Foundation, Eskaton Foundation is expanding the Transportation Plus Program reach in Placer County.